Many employers conduct an employment history verification to confirm that the information you have given them when you applied for a job is accurate. Your employment history includes all the companies you have worked for, your job titles, the dates of employment, and the salary earned at each of your jobs. Your employment history is a detailed list of where and when you worked, the jobs you held, and how much you earned. The employer or the company they hire to verify employment will confirm information such as the places of your previous employment, the dates of employment, your job titles, salary earned at each job, and reasons for leaving. Typically, the employer will ask you to list one reference for each previous place of employment, and they will contact those references. The company may also ask for other personal or professional references in addition to employment references. Many job-seekers don't put a lot of thought into whom they will use as references when potential employers request them. 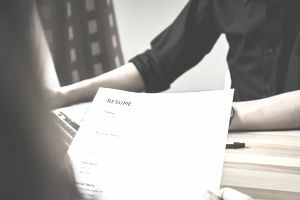 The focus is often on resumes and cover letters, researching the companies, and preparing for interviews, so the candidate's reference choice is often neglected. How do you know what references you should choose? You want the people who will make the strongest recommendations for you. Former supervisors do not need to be referenced, especially if they did not know all your accomplishments or you aren't sure they will say the best things about you. Sometimes former co-workers, or supervisors in other departments who know your work, make the best choices. Again, the key is people who know your strengths and abilities—and who will say positive things about you. Overall, you want to choose about three to five references—people who can speak highly of your accomplishments, work ethic, skills, education, performance, etc. For experienced job-seekers, most references should come from previous supervisors and coworkers whom you worked closely with in the past, though you may also choose to list an educational (mentor) or personal (character) reference. College students and recent grads should have several references from internships or volunteer work in addition to professors and personal references. During the job application process, the employer will likely conduct an employment history verification. The employer will confirm that the career information included on your resume or job application and list of references is accurate. The company may check prior to offering you a job or after you have accepted a job offer. If it is afterward, the offer will be contingent on your employment history matching the information you have provided to the employer. At a large organization, the human resources or payroll department typically conducts employment verification, but some companies hire third-party verification services instead. Employment history verification assures employers that you have all the experience and qualifications listed on your resume. If a discrepancy is found between the information you provided and the information obtained during the verification process, you may be offered an opportunity to explain or the job may not be offered or a job offer withdrawn.